Lens Description: So many spectacular views appear when the light is fading-dramatic sunsets, the final inning of play, an evening stroll in the city or a warm moment around a campfire. 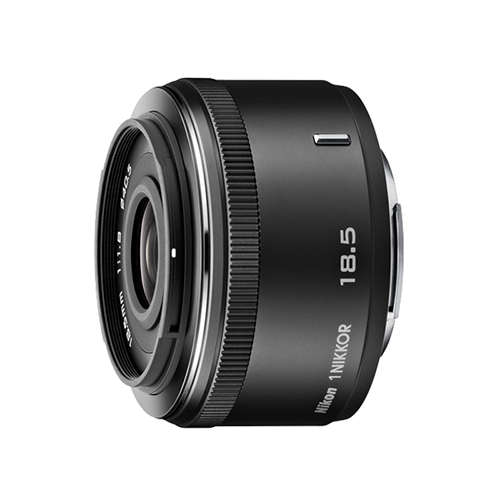 The 1 NIKKOR 18.5mm f/1.8 lets you capture those low-light moments exactly as you see them. Its ultra-wide f/1.8 aperture delivers remarkably bright photos and videos with beautifully blurred backgrounds (what the pros call bokeh) and its 18.5mm fixed focal length (equivalent to a 50mm lens in 35mm format) mimics what we see with our eyes. From casual snapshots to creative close-ups, every image will be true to your memory of the moment.